On Sunday, 19th October EDC site hosted Pierwszy Bieg Instytutu Lotnictwa (1st Institute of Aviation Run). The event initiated by EDC’s HealthAhead team and sponsored by Institute of, proved to be a great success. Over 330 participants took part in the 5k run, including 85 members of EDC Runners. The first to cross the line was Kamil Jastrzębski from SKB Kraśnik, whose result (15:10) is the route record. The best in the female category was Ewa Chrościenko from Wieczorek Team (18:22). 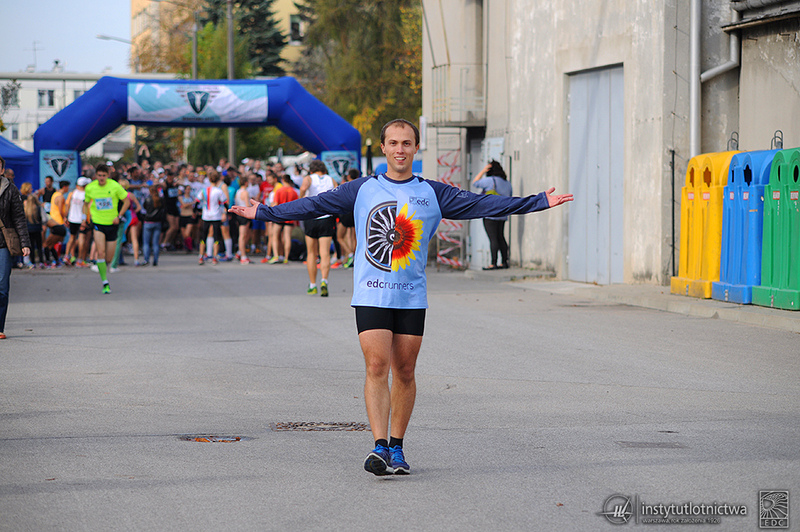 EDC Runners took top places in the Aviation category: Radek Serwiński was 1st, Piotr Dyląg took 3rd place, while Joanna Najniger and Karolina Gutkowska were 2nd and 3rd respectively among women.